Balanced Families Ministries: Catholicism and Bodybuilding: Friends or Foes? The current culture of bodybuilding and hyper-fitness is ravaged by narcissism and egos big enough to pay back our nation's debt. Part of the problem of the current culture is that it decided to choose the incorrect ideologies for the sport at its beginnings. Many faith-filled people on the outside looking in would write off the sport entirely, something i can't say that I would fault them for. But the sport and the heart of the lifestyle does have good within it. Many bodybuilders, Mike Mentzer for example, have endeavored to bring philosophy, reason and intelligence into the sport but the mainstream bodybuilding media saw him and most like him as a kook. Bodybuilding in its truest and purest form is about beauty and discipline. Beauty of the body and and discipline of the will. As creatures of God we are meant to realize our full human potential. We have a vast array of talents and abilities that our loving Creator infused into us, reasoning, logic, sympathizing, and (by far the most important) holiness, are all given to us as goals to be achieved in order to become more and more worthy of heaven. Physical fitness and health are also God-given and therefore meant to help us get to heaven. I think first I need to explain what kind of bodybuilding I am speaking of. The freakish bodybuilders of today do not exhibit the beauty of the body. Grace, athleticism, and proper proportion have all but left the current Mr. Universe competitions or most any other bodybuilding competitions. What was meant to portray the human body at its physical peak has become the slanderous and outrageous need for more size, most of the time at the expense of actual health. While I am not for the displaying of male or female bodies for people to gawk at, reaching your physical pinnacle is a beautiful and wonderful thing. The sport of bodybuilding has taken a very ugly turn to the immodest. When I speak of bodybuilding please do not think that the current ogres of the fitness world define the true heart of the sport, the philosophy behind the mud is golden. 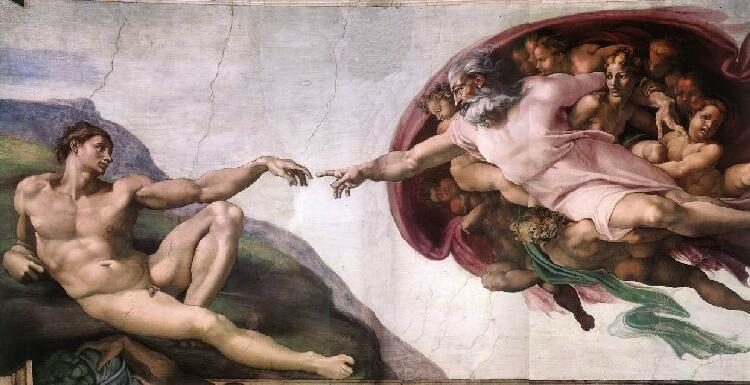 The ancient Greeks as well as the great artists like Michelangelo had a much better understanding of the role of human physical beauty and the need to try for the best. There are numerous stories of young men that were living a life of debauchery and crime and through the lifestyle of bodybuilding were able to get out of the rut that their sins had placed them in. "The Iron is the best antidepressant I have ever found. There is no better way to fight weakness than with strength. Once the mind and body have been awakened to their true potential, it’s impossible to turn back." - Henry Rollins (Former Competitive Bodybuilder) If we as Catholics were able to harness that ability of weight lifting to help young men and women to continually strive for a life of perfection, not only in their bodies, but in their souls and minds, we could have a generation of balanced and value-hearted individuals. We should never idolize physical perfection but, "I think the time is right for a "theology of bodybuilding" as well: for greater appreciation and deeper understanding of the body's capacity for strength, endurance, and robust fitness, to serve as a dynamo of charity toward our neighbor and for the greater glory of God." - Dr. Kevin Vost, Fit for Eternal Life. 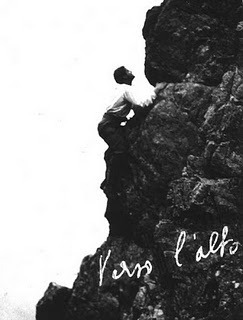 Blessed Pier Giorgio Frassati's motto, 'Verso l'alto' meaning 'to the top' applied not only to be able to climb mountains but to strive for Christian perfection in all things should be the motto for anyone wanting to try out bodybuilding. Test Troxin Understand Thats not me pointing control. I have swallowed my fair share of supplements and gross drinks. In fact Ive spent a large amount of dollars on supplementssome good and also not great. I even purchased an a handful of low voltage electroshock machines which were supposed enhance muscle mass through intensive invulnerable contractions. Ruchi: being married for 20 years has not come simple and I have experienced my fare share of ups and downs until I decided to learn how to do Black Magic Removal on my girlfriend to get her love back by black magic spells. At first I thought it was just a joke but so the Councillors help me understand my mistakes and what I was doing wrong towards nurturing the relationship. By attending just a small number of girlfriend love back by hypnotism session I was able to turn my entire love life around understand exactly what was required of the relationship. Istikhara For Marriage Relationships are much more complicated than many people would expect so it's important to get every aspect clearly understood before attempting to resolve the problems yourself. I learned the Winning back your girlfriend love back by black magic requires professional intervention and this is information is available if you're willing to look for it. Due to daily routine and bored habits, in a relationship, many partners look for a way on how to get love back, which generally fades away at passionate periods between couples, thereby leaving a boredom place for them. Much less is obtained by the flirting couples every day and couples mostly argue over excruciating problems in lieu of taking pleasure in their partnership. Mohagni usually smile. Smiling indicates the lady you are assured and friendly. A proper smile feels accurate, and will placed the woman at ease, aswell as developing openness to your interplay.